Italy, it’s a country rich with history, cultural and political intrigue, and great wine. For a large part of their wine making past, Italy was recognized by the rest of the world for its wines emanating from the Veneto, Toscana, and Piemonte. For much of its history, Italy has been at a wine-making crossroads. Quality wine has a rich tradition here, but as the country modernized, bulk wine was produced en mass to meet demand, producing wines of little character. 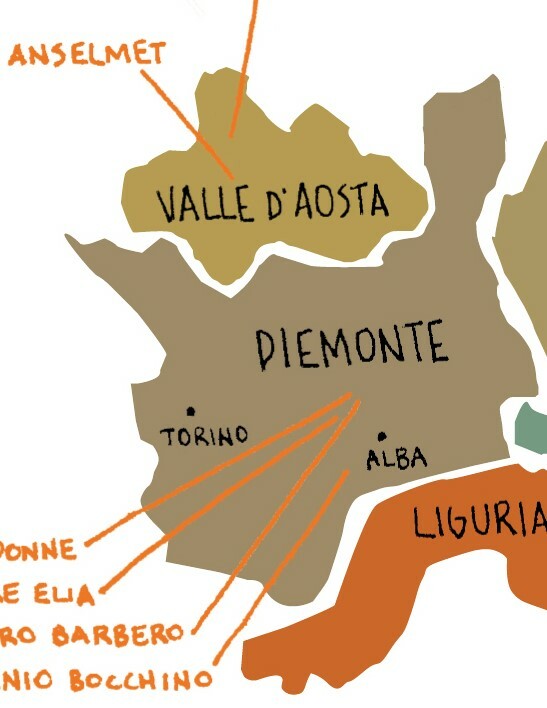 The land in Italy’s more prominent regions have only grown more expensive, leading to producers heading into the overlooked regions to revitalize the industry, and take chances on some of Italy’s vast grape varietals in the quest to make great wine throughout all of Italy. 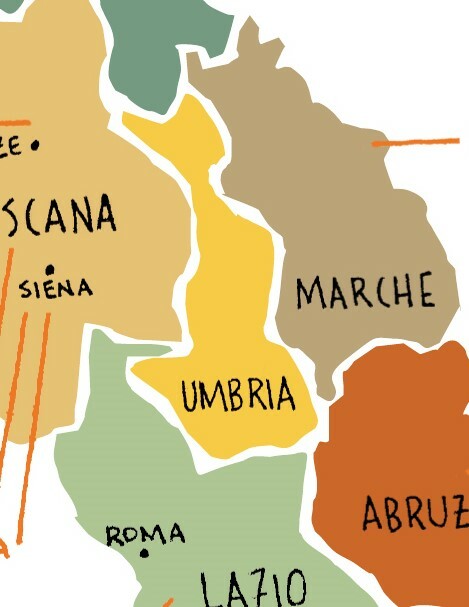 Our Featured Wine Sale of the Week brings us up the Italian peninsula from Campania through Lazio and Umbria, and up into the hills of Piemonte. The estate is nestled in the hills of Campania, the hinterland east of Naples. Sannio is the name both of the area around Benevento and of the local DOC, taking its name from the Samnites, the original inhabitants. Fierce resisters of Roman hegemony, they were also accomplished winemakers. After the Roman conquest, wines such as Falernium, the original Falanghina, became legends of the republic and the empire. Today the area is seeing a renaissance in quality, with vibrant small wineries like Aia dei Colombi leapfrogging to the vanguard. Comprised of some 10 hectares (8 under vine, 2 planted to olives) the estate straddles 2 communes northwest of Benevento, Guardia Sanframondi and Castelvenere. This is a new enterprise, founded in 2002, the first vintage being 2003. But the brothers Marcello and Gaetano Pascale are drawing on the traditions and practices followed by their father Michele, one of the founding members of the local co-operative. His quest for quality inspired them to start their own domain. Their efforts were rewarded with a Gold Medal for the Vigna Suprema 2004 from the Torgiano Wine Competition. (This is a national competition with a jury of Italian enologists and both foreign and Italian journalists.) Marcello runs the winery side, Gaetano the vineyards, while Marcello’s wife Maria Pengue handles administration and sales. In addition to their own talent and enthusiasm they benefit from the advice of the noted enologist Angelo Pizzi, the father of modern Falanghina in the Sannio. Their aim is to reflect nature and the traditions of their forefathers while employing innovation to make the best wine possible (an automated bottling machine and stainless-steel tanks rub shoulders with oak casks in the winery). Respect for the environment is a guiding principle. They focus primarily on Falanghina for white, and Aglianico for red, but also grow lesser amounts of other grapes, such as Fiano. Lazio has been a bulk wine producer for much of its history, but there are a handful of producers trying to change Lazio’s image and showcase great wines from the region. We’ve brought in the Trebbiano Convenio from Casale Certosa. The winery is run by two brothers, Alberto and Fausto, and the winery has been around since the 60s, but they were recently organically certified in 2011 and have produced some of the best Trebbiano we’ve ever got our hands on. Leonardo Bussoletti is trying to make Cieliegolo a thing again. Leonardo spent the first half of his career in wine sales and marketing, selling the fruits of others’ labor. In 2009 he decided to change his fate, taking control of a small vineyard owned by his family and planting 9 hectares of Ciliegolo, Trebbiano and Grechetto. In 2016 he has arrived at about 20,000 bottles total production, 70% of which goes to Ciliegolo! It’s this choice to produce three different monovarietal Ciliegolo’s that caught my eye. Who does that?! He has a tremendous passion for his work and for the revival of this forgotten varietal. He helped found the Association of Ciliegolo producers of Narni (there are 11 total producers in the tiny D.O.C.). We’re opening up his Narni Rosso 05035- 05035 is the zip code of Narni, where the wine is produced. This is Bussoletti's everyday wine that comes from his youngest ciliegolo vines behind his house, fermented in his and tiny garage/cellar. The wine undergoes natural fermentation and will age in stainless steel for 3/4 months before bottling. One of our favorite versatile light reds that can stand up to a chill. Daniele Ricci is a third generation wine grower, and he's been practicing organic wine making since 1999, but was completely certified last year in 2017. The lack of fining or filtering, and the use of little to no sulfur imparts a distinct characteristic on wine and if done wrong can result in highly volatile wines. Lucky for us, Daniele and his team take great care in making sure the quality of the wine is paramount, and this certainly applies for his Nebbiolo, San Martino. 100% Nebbiolo that comes from Cascina San Leto’s scarce one hectare of 20 year-old vines. Like Ricci’s other reds, San Martino is fermented in inox and then elevated in multiple passage barriques for twelve months before bottling. It shows characteristic aromas of red fruit and violets with a medium-bodied palate of wild cherries, tobacco, underbrush, and earth. Pair with grilled/roasted meats, mushroom dishes, and salumi.